Some of my upcoming reads are pictured above! Since I started blogging I think my attitude towards reading has changed. Because now I read for quantity. I try to read as much as I possibly can - I no longer read leisurely. But I don't mind this because there are so many books that I want to read, that I am almost always impatient to get to the end of my current book. I can see why it is nice to dwell and savor a story, but if it is really good, then it is more likely I just want the book to get in my head as fast as possible so I can mull it over and savor it afterwards. In keeping with my "devour" mindset to reading, I have embraced ALL the formats. Physical, ebooks and audiobooks. During the week, when I have work and a commute, I like to read a book in one of the mobile formats - ebooks and audiobooks. I can listen to audiobooks while I'm working (I'm so glad I don't have to work with people too much!) and I can read my ebook during lunch or when I have a few minutes here or there. Whispersync between my Kindle and my iPhone is my dearest friend - I love that I can pick up reading on different devices so quickly! Physical books I like to save for the weekends when I can really enjoy holding the book and turning the pages (because during work lunch it's sometimes difficult to hold a book one-handed and read while eating). Also I feel better keeping my books at home since I want to keep them in as good condition as possible! It's terrible to think I can spill things on it or accidentally fold pages while it's in my bag! The other habit I've gotten into is to not read too many books at once - at least I always try to read only one book in one format at a time. It's easier for me since I'm not a mood reader, and I feel like I am much more productive blog-wise if I finish a book in a week, instead of finishing three books at the same time in three weeks. Then I can space out my reviews better. Lastly I read any time I can. The different book formats help me pick up a book whenever I want. I get a lot more reading time on the weekends usually, but if I can read most of a book during the week, I feel like I made a lot of progress. What are your book reading habits? When are your most productive reading times? I would also really appreciate it if you would fill out this brief survey below on reading habits. It will be interesting to see the results! Although I enjoyed reading Sabriel, it wasn't the amazing read I was hoping for. I can see why it is such a beloved book because the adventures are captivating and also sometimes grisly, and Sabriel's dedication to see her mission through is really inspiring. It is not easy for her to fulfill her destiny and it is stirring to go on this journey with her. The world-building is where I was often disenchanted. It felt like it took awhile to understand the world, because there was so much kept from Sabriel, and also many of the characters could not physically speak about what was going on. I think if there was a clearer idea of the stakes earlier in the book, it would have held my interest better. But there are a few other aspects of the world that felt more arbitrary because they were not very well explained or at least I didn't understand how the system came to be. This was the most disappointing aspect for me, and made it difficult for me to really get into the story. The characters in this story are varied and well drawn, but I did find that I was not always very invested in them. I'm not sure why this is, because they all have an interesting dynamic and an exciting backstory but for some reason the combination did not capture me. The romantic aspect of the story was very dull in my opinion - engineered and underwhelming. I was underwhelmed by the villain of the story too, who lacked nuance, and was so relentlessly evil without much explanation for why he became what he was. I have to say again that I did enjoy this story and my rating wavered between 4 and 3 stars. But even with the exciting and tense climax, I didn't feel like this book had the depth and the intricate, well-explained world-building that would have made it more of a memorable read for me. It is a good story overall though, and perhaps better when read with the rest in the series, so my personal preference probably plays a large part in how I felt about this book. Arriving on the planet Cashel, the Tenth Doctor witnesses a strange masked ball. To guarantee peace, Prince Zircon has to choose a bride from the Bog People - dead men and women who have been resurrected as slaves. Or as warriors. But Zircon is in love with the enslaved Princess Ash, whose parents were deposed and executed by the current Queen. As usual, the Doctor has walked right into trouble, and it's up to him to sort it out. 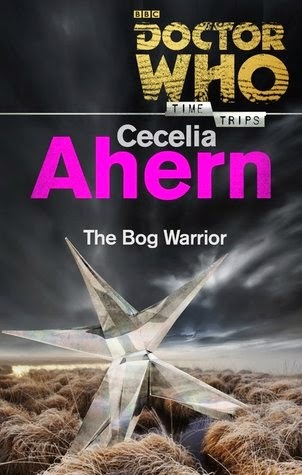 I was surprised that this short story turned out to be a loose take on Cinderella, it works out great though because it imaginatively intertwined the fairy tale with science fiction and the world of the Doctor - I enjoyed seeing how the author integrated the two. That element of fairy tale - magic - was immediately and correctly dismissed by the Doctor but unfortunately there was no explanation given for the science behind reanimating dead people and for the ending with Princess Ash. It all seems very like magic, and I'm surprised that the Doctor didn't discover what was the mechanism behind it. This was the reason why I lowered the rating for this story - because I really enjoyed it, but I was left feeling very confused at the end. In addition to fairy tales, this story also incorporates a version of zombies which I thought was pretty interesting. It's horrific and well described, so I think that grounded this story in a good old-fashioned Who adventure, as the Doctor tries to understand and help the people in this world. The other main characters were brief and mostly fulfilled predictable and stereotypical roles, but it worked to keep the plot going and I felt interested enough in the characters to hope they succeeded. The 10th Doctor is captured well in this - in all his charming and slightly eccentric ways - and there are even a couple really funny moments in this story (although it is all too brief). This is a very enjoyable read, that I would probably recommend even more strongly if only there were more of an explanation about how certain things happened in the plot. Mondays I normally post an installment of The Refined Reader, my feature on bookish history, but it is much more important to participate in Armchair BEA today! And I'm so glad that Monday is actually a holiday in the U.S. so I can spend more time online visiting all the blogs. For this post I'm answering 5 of the Introduction questions posted here. And I'll try to keep it short and simple so you can be off to visit more blogs! 1. Please tell us a little bit about yourself: Who are you? How long have you been blogging? Why did you get into blogging? Where in the world are you blogging from? 2. Describe your blog in just one sentence. Then, list your social details -- Twitter, Facebook, Instagram, etc. -- so we can connect more online. 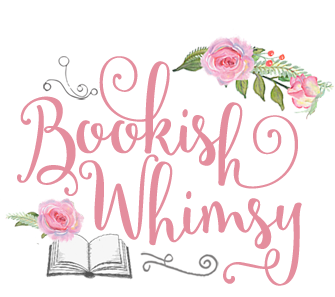 My blog is equal parts book reviews, discussions, and general enthusiasm and fangirling with a little bit of hopefully useful knowledge thrown in. 3. What was your favorite book read last year? What’s your favorite book so far this year? 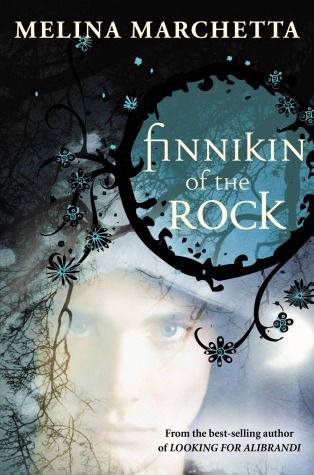 From last year it was the amazing Finnikin of the Rock by Melina Marchetta. 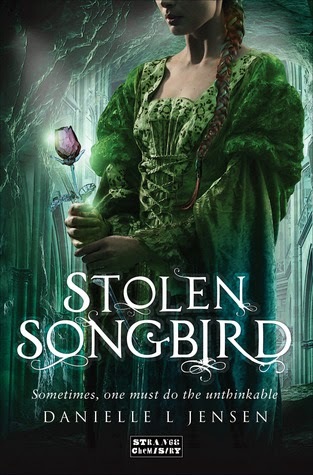 This year is a really hard question, but I think I'll go with the lovely and captivating Stolen Songbird by Danielle Jensen. More people need to know about this book! 4. Share your favorite book or reading related quote. 5. If you were stranded on a deserted island, what 3 books would you bring? Why? What 3 non-book items would you bring? Why? Papi, a blind, genial keeper of a newspaper stand is talking to mob boss Mr. Barker who he "fingers" for another mob which results in a drive by shooting targeting Mr. Barker. There were witnesses though so now there is a "mark" on Papi, who is desperate to stay alive. Being blind though is a severe disadvantage when he tries to hide. Although Papi starts off sounding like a pretty nice guy, he is quickly revealed to be selfish and opportunistic so it isn't terribly heartbreaking when we hear how his story ends. His attempt to elude the mobsters that are after him is pretty clever though, and probably would have worked for him if *spoiler spoiler spoiler*. His elusive tactics reminded me a bit of the ending in the (fantastic) film Wait Until Dark. I did like how the actor playing Papi characterized him - he was very believable and he made Papi deceptively likable - capturing that earnestness yet two-faced voice well. The world-building in this book was really exceptional. Complex and exciting with some great ideas about the nature of magic. The Crucible especially was so intriguing, and I loved the idea of being able to fall into a world through a book. This novel is also a great read because the plot moves quickly - there are so many dangers and trials for Iolanthe to overcome with the help of Prince Titus. The gender switch aspect to the story is another intriguing facet - although I didn't feel like it was really explored in this book. But it did add a farcical aspect which kept the story entertaining despite the desperate dangers. There's so much going on with this book that made it a great read, that I was fine with being a little disappointed by the the other major aspect of the plot - the romance. Iolanthe and Titus are fantastic characters on their own, and I really enjoyed their interactions and the push and pull of their emotions, but I also felt it was a little too emphasized throughout. Their tension felt inflated to me, because almost every chapter had a moment (or several) where they were overcome with their feelings for each other but always pulled back. I also thought their connection wasn't very well delineated - it mostly seemed superficial, and a little too "insta" - relying more on physical attraction, or attraction based on their forced camaraderie. The story switches between their two POVs as well which added to the overemphasis on their feelings since the reader has to deal with their emotional confusion from two perspectives. I think it would have been great to only know what Iolanthe was thinking with the reader being kept in the dark as to Titus' plans as Iolanthe so often was. The changing POVs just felt too jarring to me unfortunately. There was one more aspect of this story that I found a bit perplexing - the nature of prophecy. The prophecy adds suspense to the story because the reader doesn't know exactly how it will be fulfilled and it can be very deceptive by setting up expectations, but it seems like the fulfillment of the prophecy was often cheating because the characters made themselves fulfill it by following exactly what was forseen. This didn't bother me so much, but I would be interested in seeing what would happen if the characters directly went against what the prophecy foretold. This first book in this series sets up what sounds like a really great epic confrontation, and I am looking forward to knowing more about Iolanthe's powers, and how she will overcome the very powerful Bane. This book has a fantastic take on magic, some nail-bitingly suspenseful moments, and great characters - I think it is a great start to the series. Limiting Your Book Genres + Survey! Most readers have a preference for what kinds of books they like to read. And especially for book bloggers, we like to set that up in advance - by stating what books we like somewhere on our blog. However, I say I don't usually read such and such genre but I don't always stick to it. Contemporary and non-fiction are among my unfavored genres but I have read and reviewed a few for my blog in the past. And I've actually read three contemporary books in a row just recently! And enjoyed them! So I was wondering how much do people really limit what genre of book they read? If the book sounds interesting will they give it a shot no matter what? How often do we step outside of our boxes and try something new? What am I really limiting? Even though it's apparent that there are some genres I say I don't like to read that I actually do when it suits my interest, there are some plots that I really have no interest in. I may enjoy the right book with that plot, but as a semi-picky reader with a lot of books to read, I don't have the time or inclination to try out those books. Books with a specific focus like real-world politics, war, or military operations are really very uninteresting to me. So I know what scenarios I find unappealing, but with the other genres I generally don't read - especially contemporary or middle grade - they can all have plots that I really enjoy, just written in a way or set in a world that I'm not always inclined to get into. It would probably be more accurate to list what plot points I like rather than what genres I like to read. It would be a more accurate way to pinpoint what it is I don't like as a reader, but of course that's much more complicated. I think ideally readers shouldn't limit their book genres. There are so many kinds of books out there that you can't assume that ALL of one genre isn't for you based on prior experiences. But the very valid counter-argument to that is 'who wants to go through dross when one already knows what they like?' Especially when you already know what genres tend to provide that? But as a blogger who reads through a lot of book summaries, I think I am getting better at refining what it is in a book that I won't enjoy and I'm finding that genres are not always the best way to measure that. James Bond is not a superstitious man, but it’s hard not to feel unnerved in the presence of Mr. Big. A ruthless Harlem gangster who uses voodoo to control his criminal empire, he’s also one of SMERSH’s top American operatives. Mr. Big has been smuggling British pirate treasure to New York from a remote Jamaican island—and funneling the proceeds to Moscow. With help from Solitaire, Mr. Big’s beautiful and enigmatic Creole fortune-teller, and his old friend Felix Leiter, 007 must locate the crime lord’s hideout, sabotage his operation, and reclaim the pirate hoard for England. From the jazz joints of Harlem to the shark-infested waters of the Florida Everglades, Live and Let Die sends Bond headlong into the exotic. This is the second installment of James Bond's ongoing adventures, and after the lackluster excitement (for me) of the first book Casino Royale, I was hoping this one would have something more of the magic of James Bond. Unfortunately it didn't. Bond's interest and sort of romance with Solitaire was much more interesting than the relationship in the first book, but I still felt the lack of real connection between them, since it was mostly mutual, instant physical attraction. Which of course one must always expect with these Bond novels, but I just don't feel very invested in the Bond girl when she is so weak and transparent. The only really interesting aspect of the story must be in the mission and the mystery behind the Bond villain. The villain, Mr. Big, is pretty unsettling but I was a little surprised by how he is so powerful, yet he always seems to attack everyone around Bond, when he had so many opportunities to do away with Bond. I didn't understand why James Bond was so lucky to get off so easily. Turns out, he's not that smart. And as for Bond's resourcefulness in this mission, I felt like that left a little to be desired. His luck is really the most astonishing thing about him, and not his skill as a spy. At least in this story. The story is further marred by the really tedious descriptions throughout of what really amounts to lots of different fish in the sea (all super dangerous, man-eating, villainous ones by the way), and the different cities that Bond travels through. James Bond too often makes really bad decisions and was too often caught by Mr. Big to really shine in this installment. 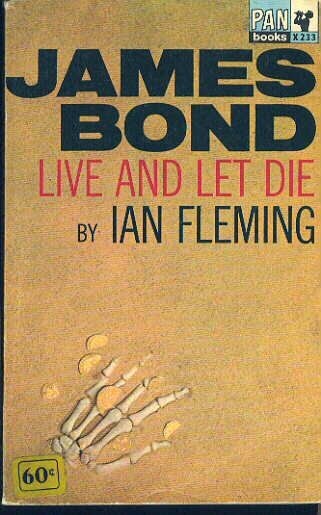 Couple that with some really excruciatingly slow pacing at times (especially near the end when things should really start becoming intense) and this might be the least enjoyable James Bond novel for me. The Refined Reader aims to take a look at the journey to where we are as readers today. It's part history, part commentary - providing a brief, conversational summary of various aspects of our bookish past and comparing it to how it has affected us in modern times. I love history, but I am no historian, and while I plan to do my research, if there are any errors, please let me know! This is as much a learning venture for me as I hope it is for my blog visitors! Fantasy. Definitely one of my most read genres, because it consistently provides a fantastic escapist read. The world is complete fiction, with elements of magic to elevate and inspire a reader. Unlike the origins of Gothic literature, Fantasy has much less clear-cut beginnings. Our first known story The Epic of Gilgamesh could be classified as a Fantasy, with other early stories fitting the bill being Beowulf, The Odyssey and The Book of a Thousand and One Nights. The need to invent stories enhanced by the unreal or the supernatural was very strongly imbued in our species it seems. It is also likely the first genre of literature since it may be the oldest. George MacDonald has the strongest claim to being the first modern Fantasy writer with such works as Phantastes (1858) and The Princess and the Goblin (1872). MacDonald seemed inspired by fairy tales and the mystical (he was a Christian minister) to integrate the mystical and the fantastic in stories that would appeal to everyone. It is interesting to note that MacDonald's work was the first time fantasy stories in our time were seen as stories for adults as well as for children. He inspired C.S. Lewis and J.R.R. Tolkien to create their complex fictional worlds and they in turn helped make the genre very popular. Fantasy today has taken on many guises, with so many different worlds and aspects to explore and it has become a very popular and enduring genre. Which is understandable given how early on in our history we began to tell fantastical stories. I think the appeal of fantasy lies in how well it transports the reader into something very different to their own lives, but because the characters have issues and aspirations that are relatable to our own we can immerse ourselves so easily into the world. Can you remember your first Fantasy read? If you are a fan of the genre, what aspects of it appeals to you? John Barby is determined to prevent his son from being sent to a "home." By which I guess they mean an institution of some sort? His son apparently must be kept away from kittens as he can possibly turn violent. John takes great pains to keep his son hidden as he tries to get away by hitching a ride, and getting a hotel room. But the police are looking for him. I think the twist in this story was fairly obvious from the beginning. I mostly found it interesting to listen to because I was so eager to confirm my suspicions. (Also the old time Pepsi commercial is precious. "Be sociable! Serve Pepsi!") I was a bit confused in the end about just what was wrong with the son, and if the death of the wife had any extra meaning, but I suppose this was a clever enough story to entertain for half an hour. 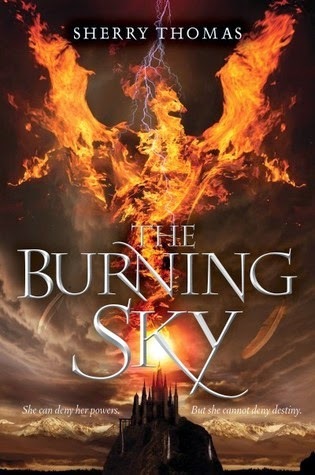 I don't feel that I reveal any major spoilers in my review of this book, but after looking at other reviews there seems to be a trend that people don't talk about what is actually a very large aspect of this story. Because it's not mentioned at all in the plot synopsis, if you don't want to know what that is, don't read this review. But I want to reiterate, that had this been revealed in the plot synopsis it would have made me even more eager to read this book. And I personally don't feel like knowing it will spoil the enjoyment of reading The Quick if you like Gothic, suspenseful stories. This was a fascinating read for me. From the plot synopsis it isn't clear that this book deals with vampires, but I think I would have been even more eager to read it if I had known so I'm mentioning that now. It's a different take on the vampire legend - and it explains them in a very matter-of-fact way which was really interesting. The story takes on several points of view - from the unfortunate James Norbury, to the scientifically minded "Doctor Knife's" journal entries, to Charlotte and to a variety of other important characters who become the focus for a short time. The shifting points of view was really well done and added to the suspense and insidious horror of the story. And it really helped to establish all of these characters and make them all very unique and realistic. The characters really make this book shine I think. The beginning of the story establishes Charlotte and James Norbury's history and their rather sad, Gothic childhood. The story moves quickly through their youth, but it does help to get to know their characters better to see them develop from these beginnings. The true tragedy of what happens to James really hits home because of this - especially when he starts to find a measure of happiness in London. There are more human characters introduced later who are important to Charlotte and James and are just as believable and engaging, with their life story being as poignant as the introduction to the Charlotte and James. The other group of important characters in this story are the vampires. I love vampire stories. They have an intriguing mystique about them, but this books strips all of that away. They are raw and real and not very attractive in this book, but they are still not really the villains. They cause some terrible things, but they are just trying to live, like the humans are, and I found that take on them to be very refreshing. Many of the characters in this book can be both disturbing and sympathetic at times and I was really impressed by how well the author brought this varied cast together in such an absorbing way. The reason I didn't completely love this book though was because at the end of the story I wasn't sure how I was supposed to feel. The story was very enjoyable, but I didn't feel a sense of closure with it. It's hard for me to describe, because there is the sense of an ending (although something is left up in the air) but after the really disturbing things that happen to these characters, I didn't feel like there was a point to it - a meaning for all the horror. I generally felt pretty depressed about it all actually - even the one redeeming and uplifting plot point near the end was almost immediately soured by a jump in time where we see what happened to some of these characters. This is probably a personal thing though, as I'm sure many people will appreciate the choices the author makes in wrapping up her story in a way that is true to the tone and the experiences of these characters. This novel has a very interesting take on vampire lore, some really provocative horror, and very well-developed characters. 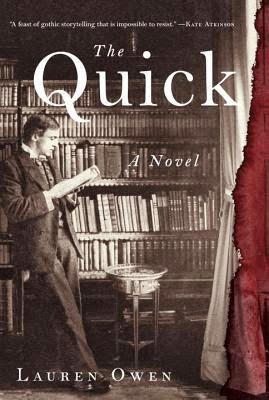 The pace is often leisurely, but there are many thrilling and suspenseful moments to keep you turning pages. I enjoyed the writing and the craft of this book as well, so for all of those things I would recommend checking out this book if you are interested! Check out the other stops on this book's tour! Lately I've seen a few bloggers get a little overwhelmed with blogging and taking a break. With many valid reasons ranging from not enough time, to too much school/work or just going through a slump. There are many great posts about why this is not a problem - and it is definitely not!! - but I wanted to talk about how to get your blogging mojo back! And how to maintain it! These ideas I've come up with may not be helpful or apply to you specifically but I'm throwing them out there anyways! Sometimes some crazy (good?) ideas for a blog post can come to you at odd times, so you should always be prepared to make a note of them! On your phone or in a special handy dandy notebook (Blue's Clues anyone?). Because often if you think "Oh I'll remember," chances are you won't. Or if you do you'll think it's not a great idea anyways but perhaps seeing that idea written down some days or weeks later will inspire something new or a new take on it. And for me, if I have trouble thinking of what new post to come up with, referring to my list of ideas will spark something in me to talk about and I'll be set for another day. There are times, happily, when you are on fire with writing those posts! You have a backlog of books read and some ideas for other posts and you fire them all out in a space of a couple of weeks. And then you are overwhelmed again with things. If you have an idea that this might happen to you, why not schedule those posts a little further apart and give yourself more of a safety net so that when you can't post you have something locked and loaded. You don't have to post every day - you can spread them out a little (like twice or three times a week) and see how your schedule goes - and if you can maintain your productivity for awhile then start scheduling more within a week. You might not have time or inclination to write for your own blog, but if you have time to browse the internet, why not steer clear of tumblr (just for a little bit!) and check out what other people are doing or saying. It could help jumpstart your interest in blogging for yourself or inspire you to pick up something new to read. And it's encouraging to see other people continuing on with blogging and seeing what they are putting out there. Let them rekindle the interest for you. Yes, we are book bloggers and reading is kind of our thing, but not every post has to be about books! If you are currently obsessed with _____ (fill in the blanks) then just post about it! Your personality shines through in these posts and I think that is interesting for any blog reader. And it doesn't have to be a recurring theme or feature, either. You don't have to feel constricted by the book blogger label - it's your blog and you can do whatever you want! Talk about what you love and why you love it! Or in the case of being too busy with work or school, talk about what is interesting or not about what you are doing. Just change the format whenever you wish! If you have any more ideas for things that work for you I'd love for you to share them in the comments! Just think that there was a time when regular people were not allowed to read. Reading is a way for me to connect to the world, to understand myself and life in general. It's essential and I think quite interesting to think about how it became so. Forms of a written language is thought to have emerged around 8000 b.c. in Mesopotamia. It was simple of course and ideographic but it helped people maintain their systems of trade and agriculture. As civilization developed, the importance of being able to understand a written system of communication was widely recognized and before the fall of the Western Roman Empire (476 A.D.) it was pretty common for the average person to know some form of reading and writing. But. After the fall, the ability to read and write was a kind of power that the higher classes wielded over the lower. At the time less importance was placed on education, and books and reading material were hard to find or very expensive. A lack of literacy and education meant that social classes were preserved and it was easier to take advantage of the lower classes. With the invention of the printing press in the 15th century and the decision to translate the Bible into vernacular, literacy became a part of the daily lives of the average person. 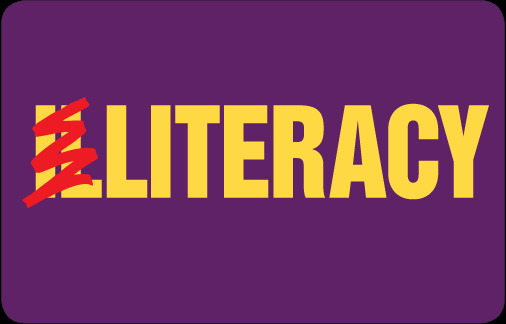 However there are still many less developed countries in the world where literacy is not the norm. Economic status plays a part as does political beliefs but it is proven that a higher literacy rate improves individual lives as well as the economy of a country. For individuals it boosts self-esteem and self-empowerment while on an economic and political level it promotes awareness of issues, participation in politics and productivity in the workforce. No question this time, just take a moment to appreciate what being able to read has meant to you! Script writer Mark Brady is preparing is final and best (?) script - a story about his wife cheating on him with his best friend. While at first it's kinda innocent that his wife spends time with best friend Jason when Mark is busy writing, when Mark finds out that his wife is visiting Jason in the evenings and lying about it, he decides to do something about it. Mark knows Jason carries an unloaded gun, so this time Mark will greet Jason with a loaded one. The story seems pretty straightforward until you get into the power of perspective. After Mark leaves his last chapter, his wife picks up writing it and then Jason. And it was so interesting to get those three perspectives. Though it never changed my first opinion that the wife was the most at fault here - she was playing with fire and listening to her perspective only confirmed how wrong she was to rationalize her actions. Each section that is narrated by a different character is punctuated by a twist, which was really great writing as well. I really enjoyed this one! The premise of this dance is that Gene works in a clothing store where beautiful women model those clothes and he tries to get them to give him the time of day by pledging chivalric love. They mostly pass him by until Rita Hayworth's character gives him a chance. I think the earnest lyrics and the premise of this dance is partly why I'm so enamored with it. 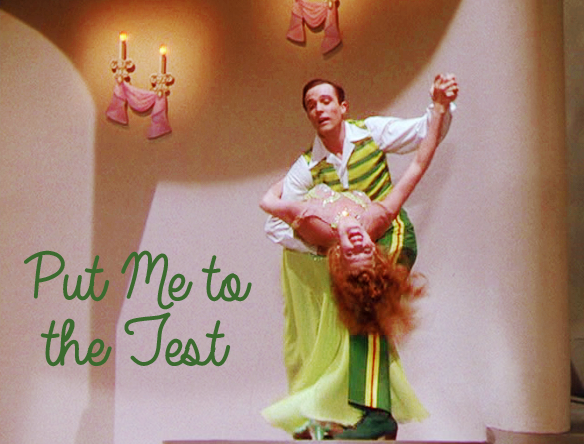 It also features a really catchy, jazzy melody with Rita Hayworth more than a match for Gene's dancing. These two dancing in synchronicity is a beautiful thing. They whirl and twirl around the stage with such effortless beauty and the brisk and buoyant choreography accompanies this wistful and lively song perfectly. 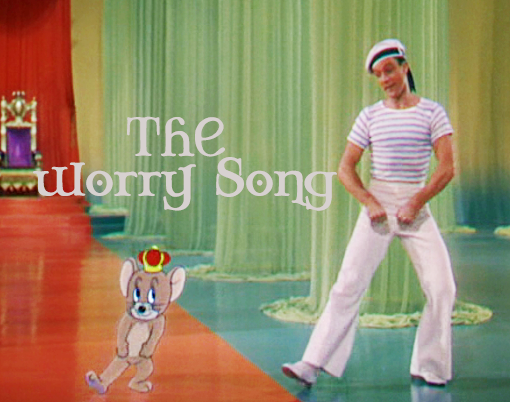 In this song, the plot of the film takes a fantastical turn as Gene's character is telling a story to some kids about visiting a distant land where he finds Jerry the Mouse it's unhappy ruler. This song is meant to bring some happiness and dance skills to Jerry and just epitomizes happiness to me. It's cool that this pioneered new techniques of melding live action with animation, but I'm mostly focused on the wonderful way Gene moves through this very large and surprisingly empty throne room. Okay, I should state unequivocally that everything Gene Kelly dances looks effortless (even though it's not) but this song really takes it to another level because watching Gene move from tap dance to jumps and twists just makes me feel like it is possible for humans to actually develop the ability to fly someday. I talked about this film last year because it is one of my favorites, and probably this dance is my absolute favorite out of every dance Gene has ever done. It's romantic and subdued, with gorgeous visuals, set to a lush orchestral piece. The film sets up multiple missed opportunities for these two characters (and others) to connect and in this scene they finally find each other again. While it is patently unrealistic for them to immediately start dancing, it is really beautiful for their feelings to come out in dance, and it appeals to my romantic soul. 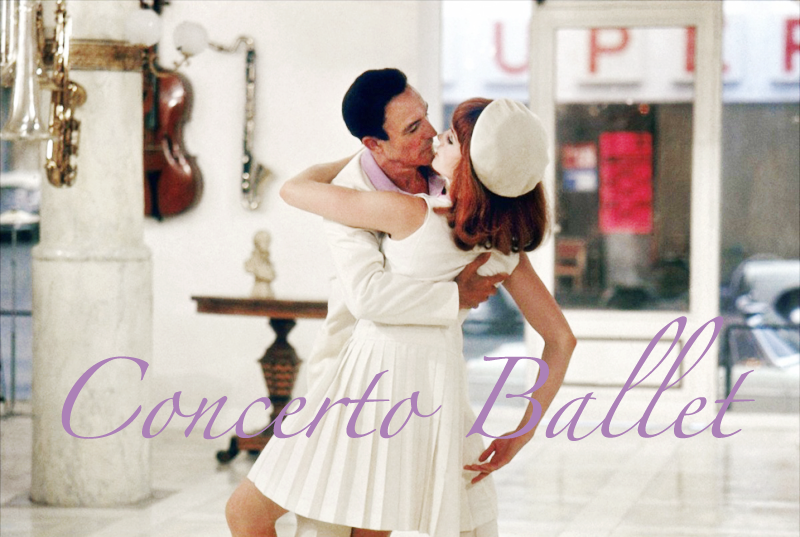 The dance itself is pretty simple and more ballet focused than my two tap-infused earlier picks (Françoise Dorléac wasn't as skilled a dancer), but the way the two are connected in dance even when they are not touching is completely in keeping with the way all the romances in this film develop. They are connected even when they are apart. It makes me melt just a little. I love this dance so much! By day, Vivienne is Guinevere's lady-in-waiting. By night, she's Merlin's secret apprentice, indulging in the new mechanical arts and science of alchemy. It's a preferred distraction from Camelot’s gossipy nobility, roguish knights, and Lancelot’s athletic new squire, Marcus, who will follow in all knights’ footsteps by taking a rather inconvenient vow of chastity. More than anything, Vivienne longs to escape Camelot for a future that wouldn't include needlework or marriage to a boorish lord or dandy. But when King Arthur's sorceress sister, Morgan le Fay, threatens Camelot, Vivienne must stay to help Merlin build a steam-powered weapon to defeat the dark magic machine Morgan will set upon the castle. Because if Camelot falls, Morgan would be that much closer to finding the elusive Holy Grail. Time is running out and Morgan draws near, and if Vivienne doesn't have Merlin's weapon ready soon, lives would pay the price, including that of Marcus, the only one fast enough to activate it on the battlefield. 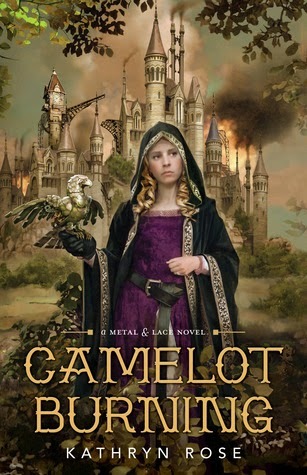 This was an interesting new take on Arthurian legends - many aspects are familiar if you have read stories about Camelot but there are little intriguing twists to change the meaning of magic and the purpose of Camelot. Unfortunately I often thought aspects of the world-building was very unclear, and it was a bit confusing trying to understand why magic is so taboo. I think the world-building is the most disappointing aspect of this book. The mechanical arts that is favored over magic often seems indistinguishable from actual magic, and I didn't understand the exact reasons why using magic was so dangerous, or why it was so corrupting. Camelot's reinvention was not very magical either - the nobility and the knights aren't very likable and it doesn't seem like they deserve the power or distinction they have. It's a very different take on Camelot and I wasn't very enthralled with it because I didn't think the place was worth all the tremendous efforts taken to protect it throughout this story. Vivienne and her romance with Marcus was a bit disappointing as well. They are well constructed characters technically, but Vivienne especially was often seen as someone very special and important and I didn't really see how that was deserved either. I just didn't feel emotionally invested in the story in general with such uninspired characters and confusing world-building. There are some redeeming points about the story however - it is very imaginative and unique and it might be interesting to see how the story and the world develops in the next book. I enjoyed Merlin as a character - he was so dedicated and tenacious, and his sparring moments with Morgan le Fay was tense and dramatic. Even though the pacing is sometimes off, the story had many exciting moments and a big battle scene in the end with some very unexpected developments. This book has a lot of flaws but also a lot of promise. 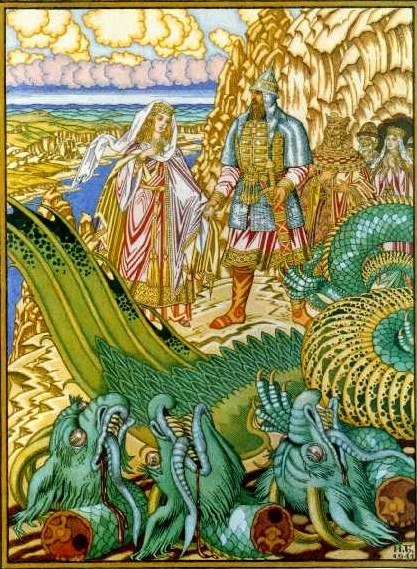 It is interesting to see that many fantasy stories use a medievalist setting for their world-building. My understanding of fantasy as a genre usually means a story that has elements that does not exist within our known laws of the universe. It differs from Science Fiction because something in Science Fiction could exist in our world (in the future), but in Fantasy those ideas are unlikely to ever exist. For a genre that can literally embrace anything, why is medievalist folklore elements like dragons, chivalry, elves, etc, so popular? After reading up on it, I don't think there is a definitive answer, but there are some historical circumstances that might explain this. The early, very influential fantasy writers like J.R.R. Tolkien and C.S. Lewis were Medievalist scholars. Their works helped change how fantasy was viewed (with many thanks to earlier author George MacDonald) as a story that could take fantastical and magical elements to reveal something about the human condition. And because they were so important to how people saw what makes up a fantasy, it makes sense that their inclusion of Medieval elements would persist in the genre. 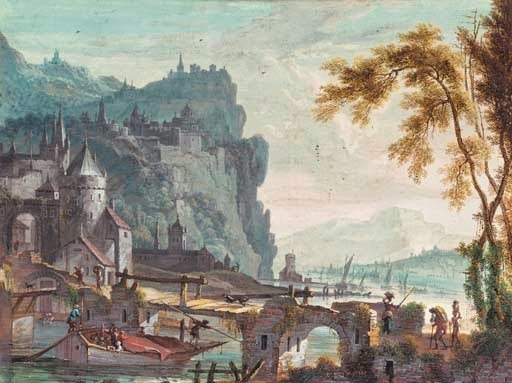 Another possible reason is that Medieval world-building is an easy shortcut to create a different enough world to our own that can embrace the fantastical elements in these stories. The lack of technology and the generally superstitious mindset of the Middle Ages is used to great effect. People were not as advanced at that time, and that works better in a story where it is important for people to rely on themselves to make a difference in their world. And the importance of personal achievement and accomplishment that features prominently in Fantasy was idealized in Medieval folklore. The most simple reason I think is that because Europeans spread across the globe earlier and faster than other cultures, European culture dominated so that it was less likely that an Asian or African based folklore would take over the fantasy genre. Maybe medievalism is popular in fantasy because it got there first. 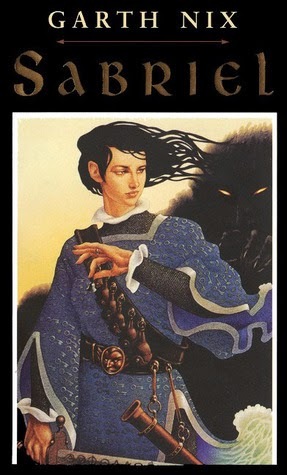 Do you have some favorite non-medievalist fantasy stories? Do you feel you enjoy medievalist fantasy more than fantasies with other settings? 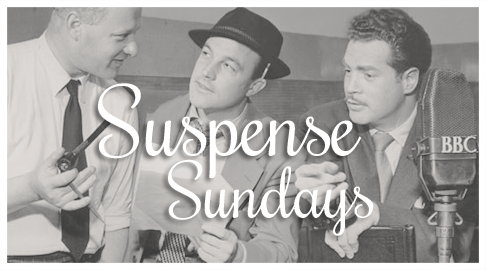 Harry, a respectable bank employee, gets the idea of staging a very smart bank robbery when miserly pet shop owner Mr. Jenson comes in to finally put his money in a safe deposit box. Mr. Jenson is very nervous about putting his money in a bank but Harry assures him it will be safe. Mr. Jenson checks on his box regularly, but Harry goes about his plans by taking another safe deposit box and setting up someone else to take out the money from Mr. Jenson's box and transfer it into Harry's. It's a good plan, but can Harry really get away with it? The idea of this episode is really ingenious - from the methodical and careful way in which Harry goes about his plans to the ultimate reason for his downfall - I think this is a great episode overall. I also feel like it is familiar - maybe it was adapted for TV sometime? The ending is really satisfying as well, because of course the listener doesn't want Harry to get away with the robbery. It is interesting that the episode includes that Harry is getting fond of Mr. Jenson and almost feels sorry about what he's planning, but he goes through with it anyway. Literally, my first thoughts while watching this was WTF?? The uniforms are horribly bland and boring, I was amazed at how much time they took showing the new Enterprise (I get it, they have the Enterprise back) and also the lighting was really dark sometimes (or just me and my tablet? Or maybe I'm just so used to the brightness of the TV show). I don't know, everything was so lackluster about this film, and it should have been awesome since it's the first time we get to see the crew after 10 years! 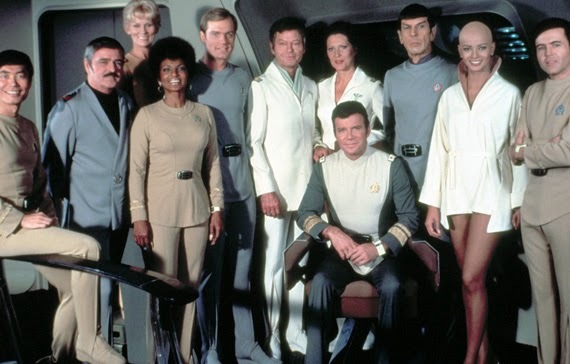 And Spock reuniting with the crew again was so anticlimactic! I get that he doesn't like to show emotion, but it seemed like he had a problem with them that I thought would be explained later in the film but there was never any reason for his almost hostile attitude to being back on board the Enterprise. It was an iffy story as well, with some very excruciatingly slow pacing in some parts. After watching this, I was just like "No." 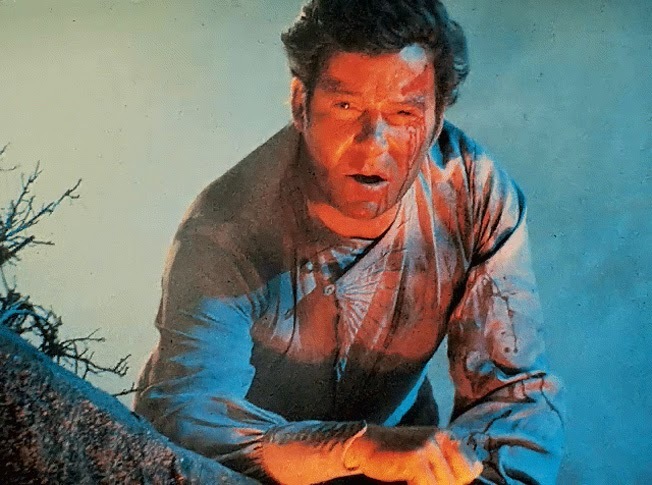 While I really enjoyed this film, and it had some great moments (like the camping trip with my favorite boys - Kirk, Spock, and McCoy) I put this at #5 because the plot was very mediocre and I think Kirk gets to show off a bit too much in this - someone should have reigned that in a bit. (BTW I wonder why they didn't show his regrets? 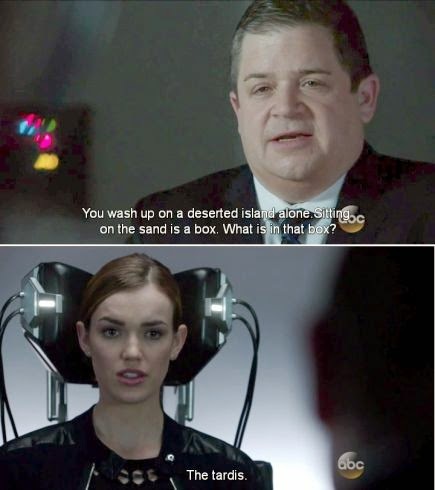 That would have been some good character development.) The sense of family that I got between the Star Trek crew was so nice to see though, as was seeing Kirk, Spock, and McCoy banding together against the influence of Spock's brother. Who was also an interesting character in his own right. I would have liked to know more about their relationship though. I feel like I have to defend placing this iconic film in the #4 spot, but it is getting very difficult for me to rank this now, so I can only say I enjoyed the later films a tiny bit more than this one. I did not know that the recent Star Trek: Into Darkness film drew so heavily from this one though, so seeing all the similarities was really surprising. And also having seen it, I definitely think this film is superior to Into Darkness despite the Benedict Cumberbatch. If only because the friendship of Kirk and Spock is much more powerful having seen them go through so much in 3 seasons and 1 horrible movie. It also helps that this film is 5000x better than the first film btw. And somehow I think it was more emotionally powerful to have Spock make the sacrifice than for Kirk as he does in Into Darkness. Anyways, the other best part of this film was seeing Kirk get the better of Khan, who is a fantastic villain. Although I am surprised that he is so full of revenge when really Kirk had no choice in what he did in the TV show, and it was pretty fair to Khan to give him a chance to make something of a barren planet. Also I was not expecting that ending with Spock - I really thought he would be revived somehow by the end. I can't imagine how it must have felt for people watching the film when it first came out to wonder if Spock was really dead! OMG. What was this awesomeness? This movie was pure fluff, and I enjoyed every moment of it. 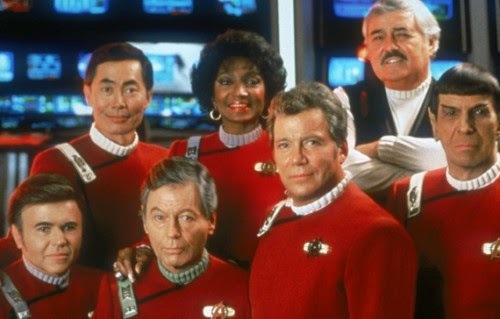 From whales on the Enterprise, to the crew adjusting to 1980's San Francisco, this was just pure enjoyment although I never really took it very seriously. But that doesn't matter because they made such a perfectly fun time travel film here! 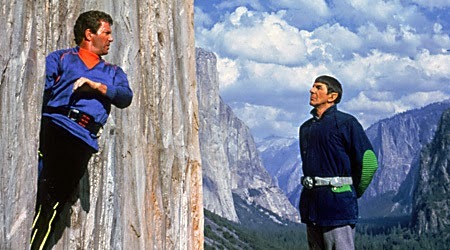 And really plumbed the potential of Kirk and Spock as a comedy duo! Every crew had a great "moment" as well in this film and this was a very well-rounded story. The romance with Kirk was a little unnecessary, but it was sweet so I really had no complaints there. This was just a fun movie. This film reminded me of a recurring theme to Snow White and Charming's love story in Once Upon A Time - "I will always find you." The BFF feels in this are off the charts and it made me giddy with happiness. I also loved how the crew goes rogue and they each have their own moment to show they are a force to be reckoned with. Especially Sulu and Uhura! I was very surprised to see Christopher Lloyd in this, though I could have done with less Klingon make-up... Kirk's bad-assery was another reason I really enjoyed this one! I was only a little put off by how Spock was revived - he died, and then he was re-formed? WEIRD. I mean it seems unlikely that he is exactly the same person, it's a little disturbing. It's just... weird!